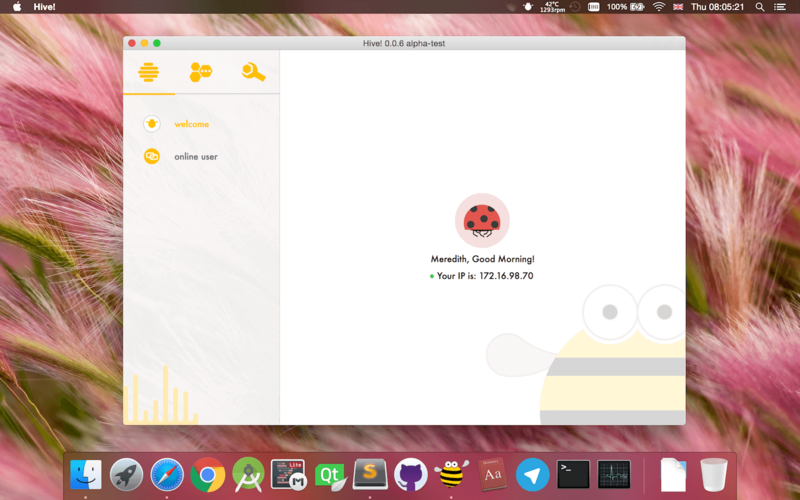 A cute chat software working without Internet. 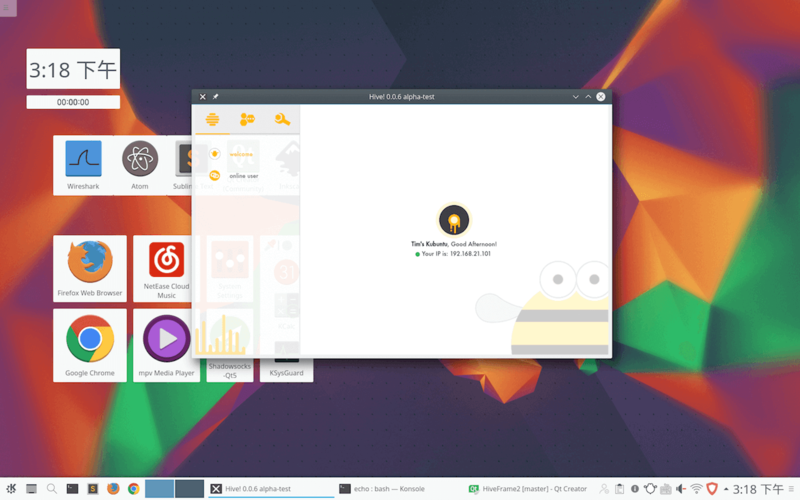 Hive is built by pure C++ with Qt library, which ensures Hive can run on old computers. It is a cross platform Chat Software which runs on Mac, Windows and Linux. All the icons and UI components are designed to give a smooth and friendly user experience of messaging. Lovely images and interaction fully applied. It is easy to get started with Hive. The only thing you do is download it and invite you friends to join your network. We are always open to feedback and answer any questions about LAN chatting. Hive supports all Windows systems from Windows XP to Windows 10. 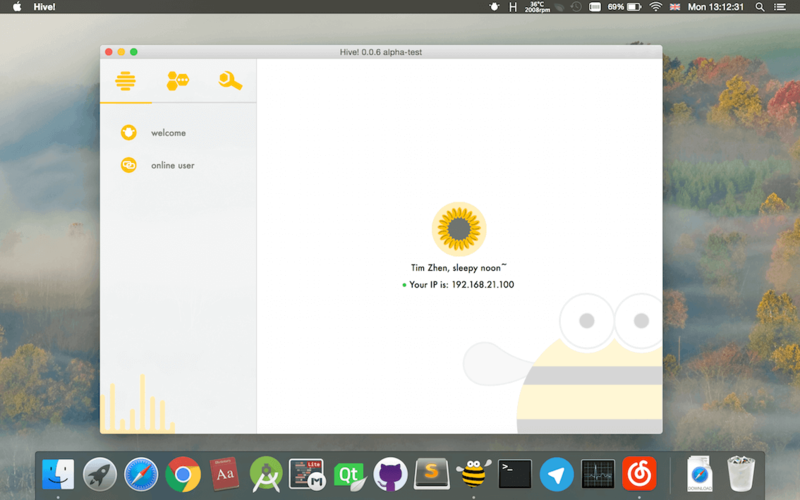 This is a screenshot taken on Windows 10 when Hive is running full screen. 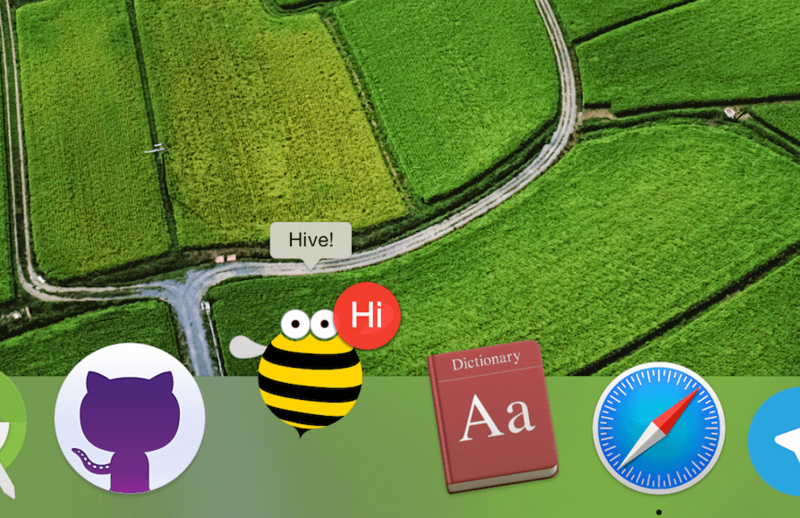 Hive for Mac supports versions from 10.9 to 10.12. 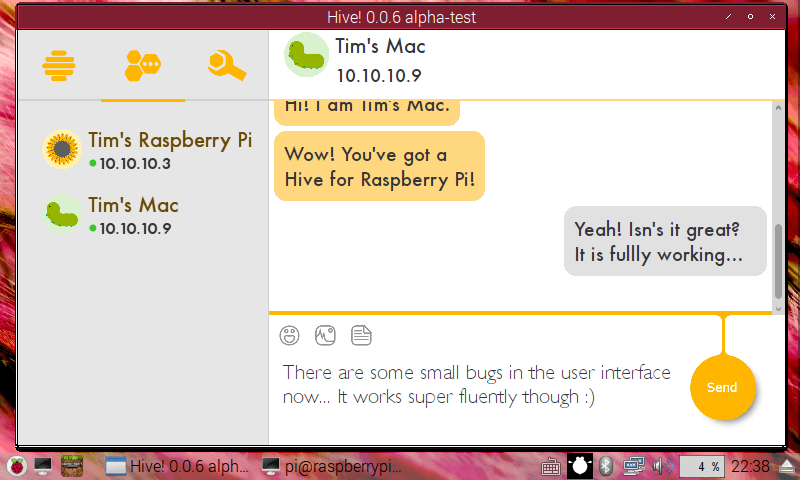 Here's a screenshot of Hive running in Mac OS X 10.10. This is how it looks like when Hive runs on Ubuntu, a distribution of Linux system. 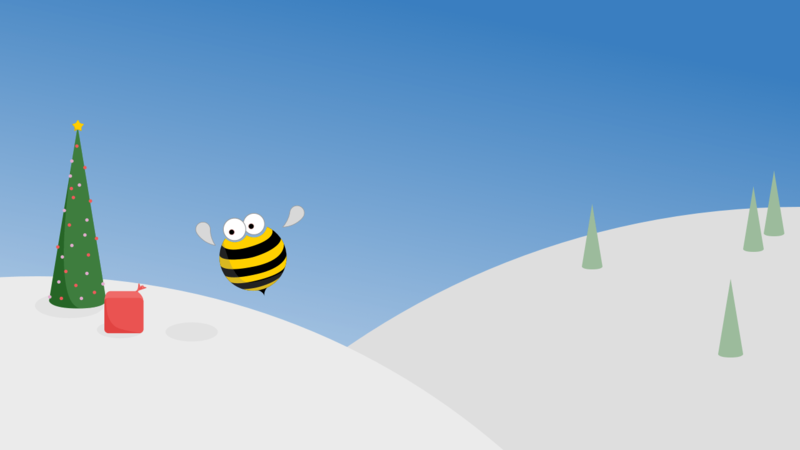 Hive is my long term project, which means it will be constantly updated to perform better. 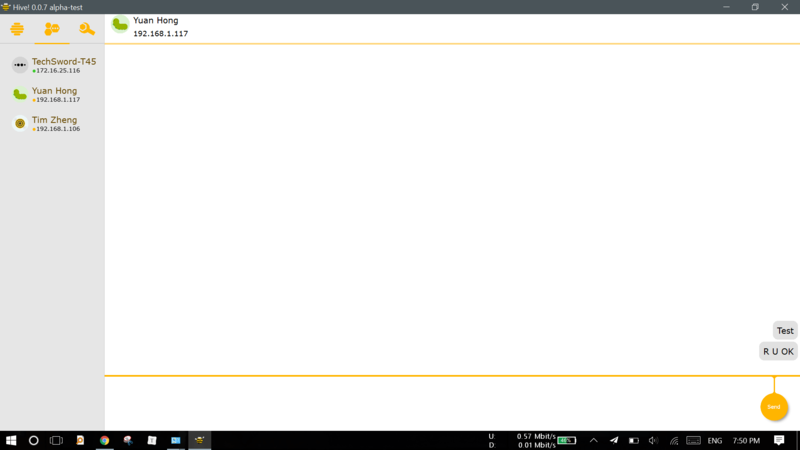 The target is making a modern chat software(currently in LAN environment) running in all platforms. By the way I can learn many things about UI design and also program algorithm. I hope you like it and keep up to date! Made with ❤️ by Tim using Materialize.js © 2016 Tim Zheng. All Wrongs Reserved.